This is called gold melting induction furnace. It is easy to install & operate. 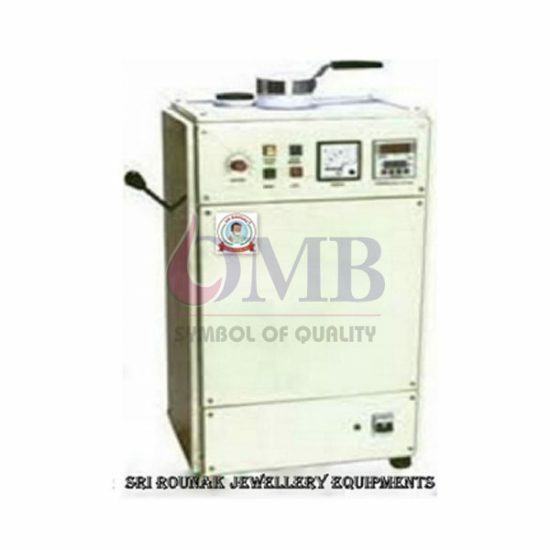 It is used as a domestic single phase 220 v. Ensures rapid melting & Eliminates burning loss of metal due to oxidation unlike in conventional coil type furnaces. And Perfect mixing of alloys due to automatic stirring. Fully automatic controls and low power consumption and loss.